“The best laid plans,” and all that, eh? Originally I had wanted to update my website for the New Year … I even went so far as to put “Website Redesign Coming” front and center back in December. But, as with so many things, I got distracted by the exigencies of everyday life: things like work, and writing a story, and work, and recording music, and work, and conventions, and … you get the picture. But, only 90 days behind schedule, the new website design is now live on the web! 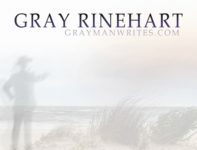 The address is the same as it ever was, http://www.graymanwrites.com, but the look is completely different. It takes a bit longer to load, unfortunately; I may need to lower the resolution on some of the images, though the loading time may have as much to do with my Internet provider as anything. And the site loses some of the functionality if you look at it in Internet Explorer (grumble, grumble). It works pretty well in Chrome, on the regular computer and on the tablet. So, in the main I’m pretty pleased with it. No doubt I will continue to tweak it, but further major improvements will have to wait until I can afford to pay someone to do it for me who really knows what they’re doing. That won’t happen for a long, long time. Meanwhile, I hope you like it! Tagged design, web. Bookmark the permalink.